Farmers markets might be the longest trending fad in food. Up from less than 2,000 markets just 20 years ago, there are now more than 8,600 of them listed with the United States Department of Agriculture. This means you are bound to be within striking distance of the season’s freshest bounty. Markets are now community events featuring food trucks, crafts, even live music. Get your groceries and hit 10,000 steps, all while being entertained with the best camaraderie and people watching in town. Here is a rundown of 9 of the top farmers markets around the country. The sprawling Downtown Farmers Market stretches nine blocks in Des Moines. The market hosts 300 or so vendors and 25,000 weekly visitors on average, but it never feels overcrowded. That being said, go early to beat the rush and find the best selection. Central Iowa has an extensive network of bike paths, so hop on your two wheeler and hit the market. Thanks to the Des Moines Bicycle Collective, free valet bike parking is available on the corner of Second and Court. Picturesque Portland State University provides a stunning background as over 200 vendors fill the 140 stalls throughout the year at this market. Established in 1992, the market sees 20,000 customers during the peak season. 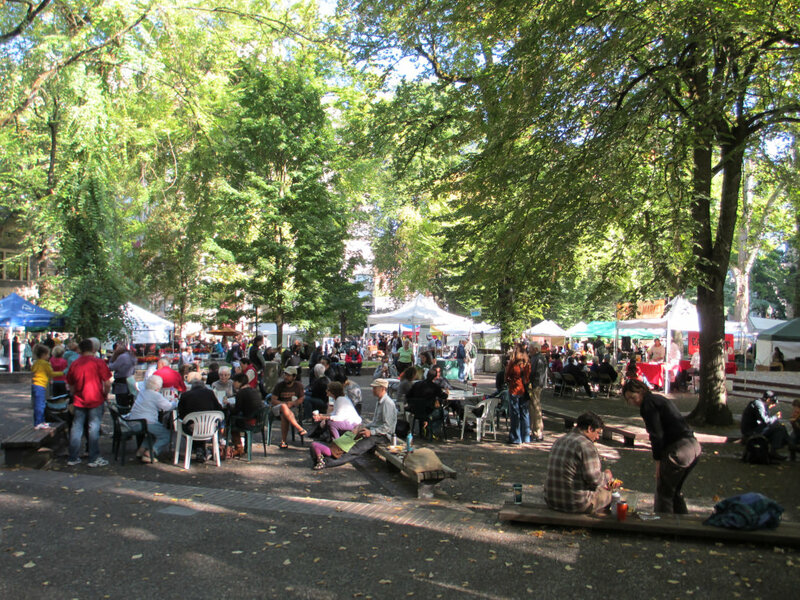 The Portland State University market is the hub, but there are six additional sites within Portland’s urban core. For $10 you can enroll the little ones (ages 7-11 years) in Kids Cook at the Market classes. Classes, led by local nonprofit the Portland Kitchen, run from 8:30 am - 10:00 am through the summer months (pre-registration required). Chefs in the Market provide cooking demonstrations for market-goers of all ages. Brought to you by the Ramsey Historical Association, this market aims to connect the area’s rich farming heritage to modern life. (Fitting for a farmers market in the Garden State.) With nearly 100 sponsors, it’s clear the community is on board. The market boasts a wide range of regular vendors, and rotating vendors are active on a monthly basis, or throughout peak season for their respective harvests. The outdoor market runs on Sundays from June - November, and then it moves indoors from December - March. 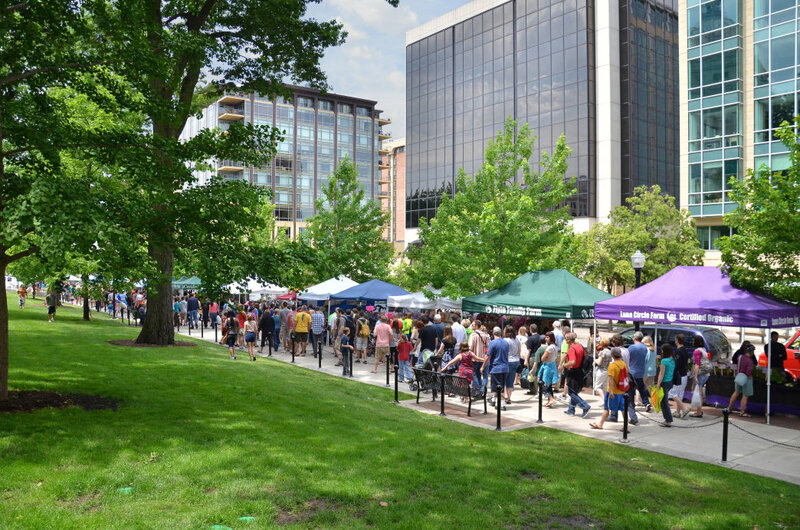 Each Saturday for much of the year, the iconic Dane County Farmers Market takes over Capitol Square in downtown Madison with one of the largest producers-only markets in the nation. More than 275 vendors are represented throughout the year, and each is the direct producer of the goods—no resales allowed here. 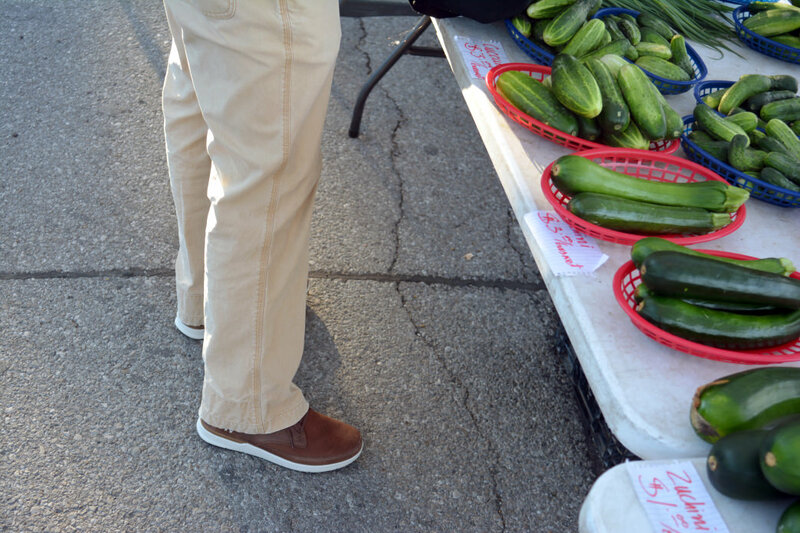 Like many markets, most Madison vendors participate in the local Supplemental Nutrition Assistance Program, ensuring everyone in the community has access to fresh produce. If you’re feeling overwhelmed, start your adventure at the market information booth at the intersection of West Mifflin and North Carroll Streets. In addition to the Saturday morning market on the square, look for the Wednesday evening market and an early winter and late winter market held around town. 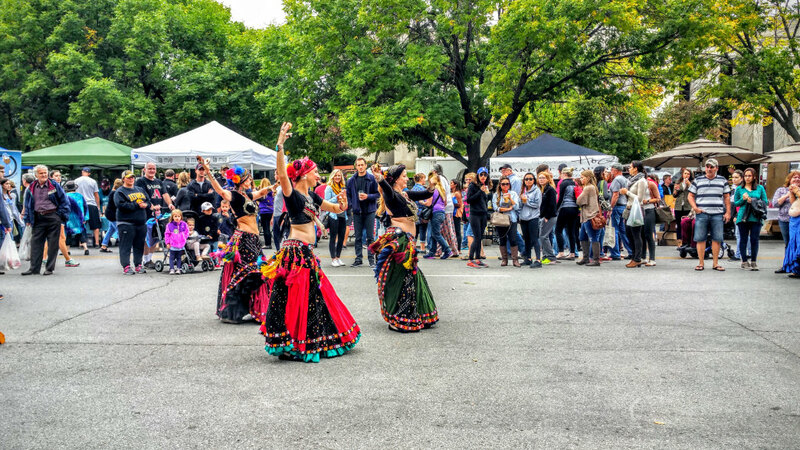 The summer market mixes it up with weekly fun including a salsa contest, tomato tastings, and A Fair for the Arts during the second Saturday of each month. From June through September an additional market runs Tuesday evenings, and in the winter the operation moves indoors. Thanks to the Bloomington Parks and Recreation Department, market visitors can learn about natural subjects in a less natural setting. A roving naturalist is on hand during the first and third Saturdays of the month. Street performing is also encouraged at the Bloomington market, providing an element of community and culture. 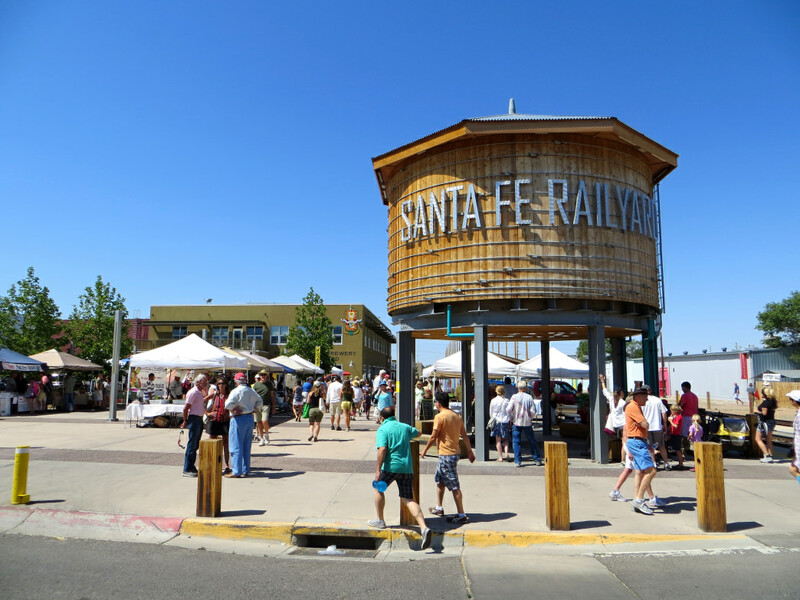 The Santa Fe Farmers Markethas been "keeping it fresh since 1968," and it’s not slowing down. Instead, the market continues to expand, with four locations during the summer. The largest market, and only year-round one, is Saturday mornings at the Railyard. Live music is a cornerstone of this community event, and the impressive array of vendors and products make mingling an endless possibility. Local artisans take over the market every Sunday from 10:00 am - 4:00 pm. The artisans market highlights local potters, painters, sculptors, glass blowers, fiber artists and more. Brand new in the summer of 2017, the Burris Farm Market at The Wharf along the Gulf Coast of Alabama is sure to be a hit with locals and travelers alike. This satellite location of the wildly popular Burris Market (located 27 miles north in Loxley) carries on the legacy of having only the freshest produce. The family-owned market maintains an inventory of over 150 varieties of seasonal produce. 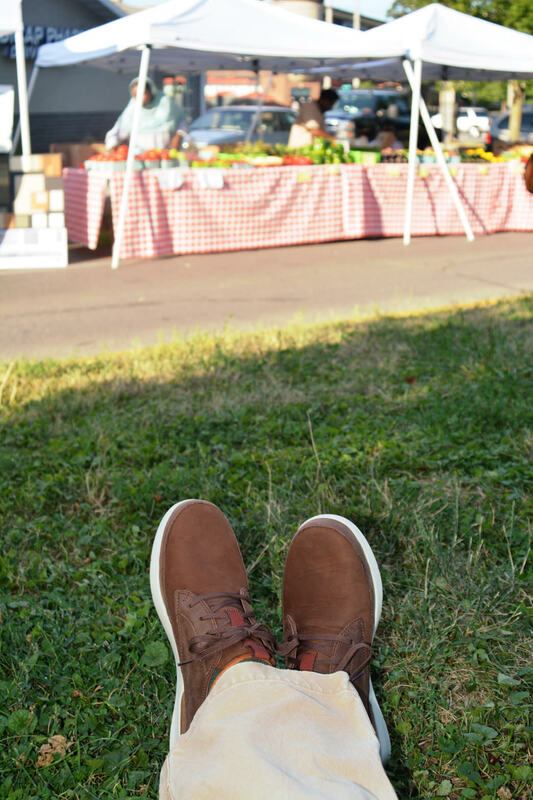 Produce isn’t the only draw to the Burris Farm Market, though. Pickled veggies and jellied fruits line the shelves as smells from the onsite bakery waft throughout the market. You can’t help but snack on a pastry while shopping for produce. A market at 7,200 feet elevation is worth celebrating. Wyoming’s one and only university town (Go Pokes!) hosts this growing Friday afternoon market, showcasing the vibrant downtown area and kicking the weekend off with a bang. Come early if you want to lock your bike on one of the new designer bike racks scattered throughout the downtown area. More than 50 plucky vendors, many of which rely on hoop houses to extend the growing season in this notoriously harsh climate, bring a variety of produce and product to market each week. Leave the high elevation gardening to the professionals, and plan some time to look at the stunning murals around town. For a truly tropical market, head to the Hawaiian Islands. Specifically, the Big Island, where you’ll find the Hilo Farmers Market. Open year-round every day the market overlooks Hilo Bay and features more than 200 local vendors on Wednesdays and Saturdays (there are about 30 vendors there on other days of the week). Get everything from a freshly cut coconut, a hand-carved koa wood bowl, and local macadamia nut honey. Listen to island music as you walk around and be sure to try a poke bowl with fresh fish and a shave ice if you start to feel the heat. A great city park gives you the same sense of relaxation and rejuvenation that you get from driving out into the great outdoors, with a lot less hassle and time commitment.